Remember Marty McFly and his self-lacing trainers in 'Back To The Future:2'? Well, Nike have made the teenage dream a reality with the new Nike Mag. A total of 1,500 pairs of the new sneaks have been made and put up for auction on eBay with proceeds being donated to the Michael J Fox Foundations for Parkinson's disease research. 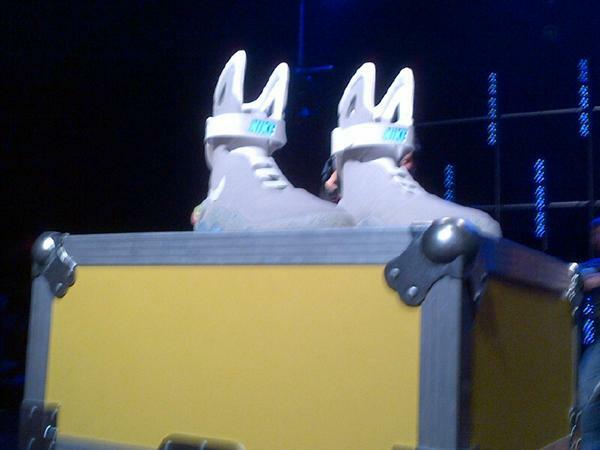 The shoes are the exact replicas of the ones worn by McFly in the film on a visit to the year 2015. 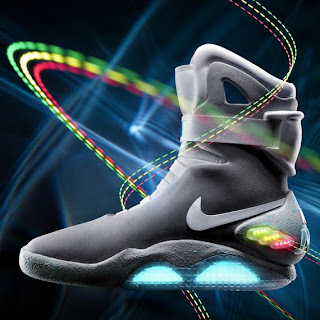 But unlike the fictional pair the Nike trainers don't themselves! Boooooo! It didn't put Tinie Tempah off however; the rapper bid $37,500 to get the first pair. Sold in a plutonium case, personally signed by Michael J Fox, a ceramic model shoe and T-Shirt went to Tinie - though to be honest, at that price we'd rather have a solid GOLD case.